Fixmart has played a small part in the project supplying Ductwork and Mechanical contractors with materials appropriate for such a superior build. 97 Luxury apartments designed by award-winning architects David Chipperfield to an exceptionally high quality, with world class amenities including a 25m indoor swimming pool. 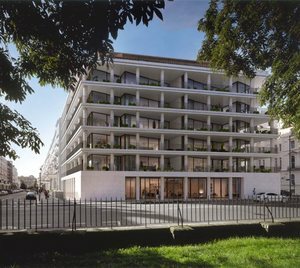 Situated in the heart of London’s illustrious Royal Borough W8, the apartments are in a prime location and will be worth an estimated £600m.